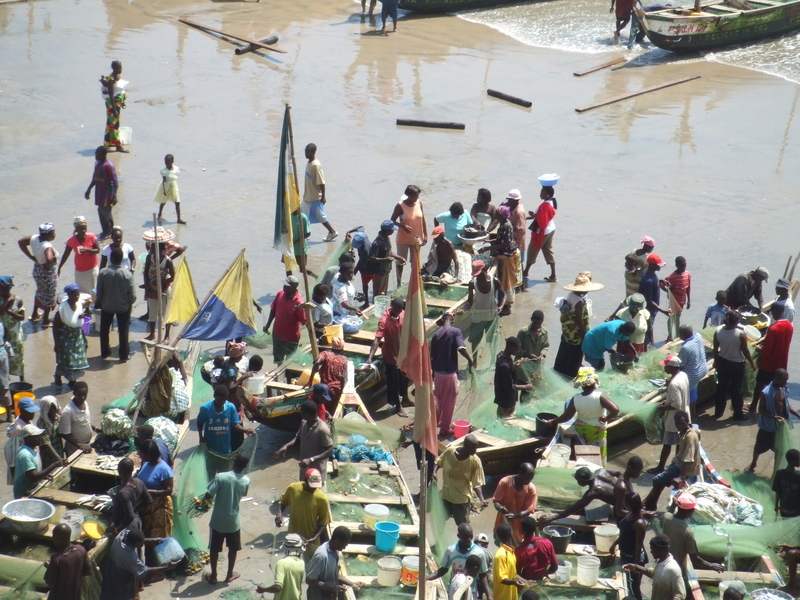 Fishing boats: Fishermen selling their catch at Abandze, Ghana, the site of the first British trading station on the Gold Coast, Fort Kormantin, established in 1632. Photograph by Thorsten Brato, 2008. The Atlas of Pidgin and Creole Language Structures (APiCS) provides expert-based information on 130 grammatical and lexical features of 76 pidgin and creole languages from around the world. It was edited by Susanne Maria Michaelis, Philippe Maurer, Martin Haspelmath, and Magnus Huber, with crucial support from the Max Planck Institute for Evolutionary Anthropology (Leipzig) and the Deutsche Forschungsgemeinschaft (DFG). Michaelis, Susanne Maria & Maurer, Philippe & Haspelmath, Martin & Huber, Magnus (eds.) 2013. The Atlas of Pidgin and Creole Language Structures. Oxford: Oxford University Press. 400 pages. Michaelis, Susanne Maria & Maurer, Philippe & Haspelmath, Martin & Huber, Magnus (eds.) 2013. The Survey of Pidgin and Creole Languages. 3 volumes. Volume I: English-based and Dutch-based Languages; Volume II: Portuguese-based, Spanish-based, and French-based Languages. Volume III: Contact Languages Based on Languages From Africa, Australia, and the Americas. Oxford: Oxford University Press. The online version contains all the materials from the printed version, plus a large number of examples and feature value comments. In addition, it was specifically designed to allow comparison with data from WALS (the World Atlas of Language Structures). 130 features and chapters dealing with grammatical and lexical features, containing information on feature values from up to 76 creole, pidgin and mixed languages; each of the chapters was written by one (or sometimes two) of the four editors of APiCS. The chapters in the online version are identical to the chapters in the book version, but the online version allows direct access to information on each feature value for each language. 76 language structure datasets providing information on the 130 features for each language, including examples and comments for many of the language-feature combinations. The structure datasets are unique to the online version. 74 language surveys giving prose overview of each language, both its sociohistorical context and its grammatical properties. The surveys in the online version are identical to the survey chapters in the book version. 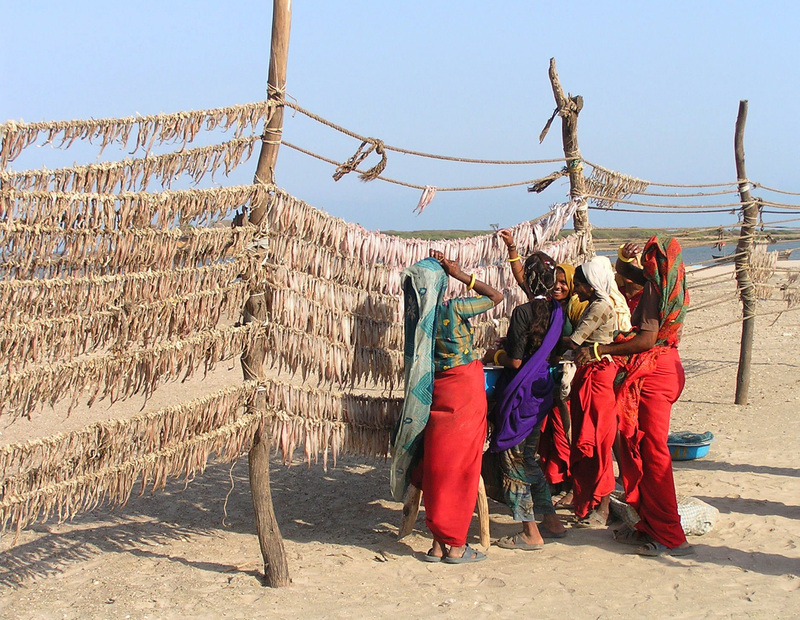 Fish & Sari: Hanging bummalo ("Bombay duck") to dry on the beach of Simbor, the site of a ruined Portuguese fort not far from Diu, India. Photograph by Hugo Cardoso, 2005. Salikoko S. Mufwene. 2013. Kikongo-Kituba structure dataset. Atlas of Pidgin and Creole Language Structures Online. Michaelis, Susanne Maria & Maurer, Philippe & Haspelmath, Martin & Huber, Magnus (eds.) 2013. More background information is found in the Introduction.